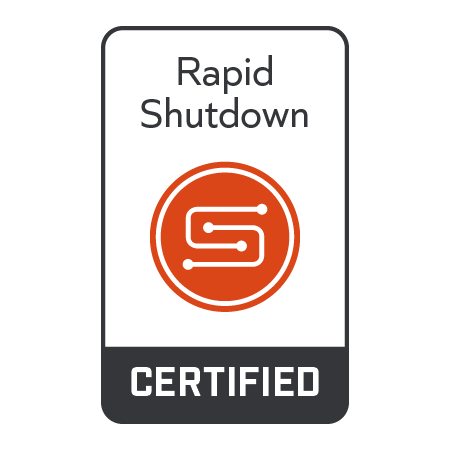 The SunSpec Certified program for Rapid Shutdown verifies compliance to the SunSpec Communication Signal for Rapid Shutdown Functional Specification to meet the requirement established by National Electrical Code (NEC) 2017. PV module-level power control and safety (“rapid shutdown”) is required in 24 states starting in January 2019 and will affect millions of PV panels and all solar inverters. This standard is tested using UL 1741 SA criteria. 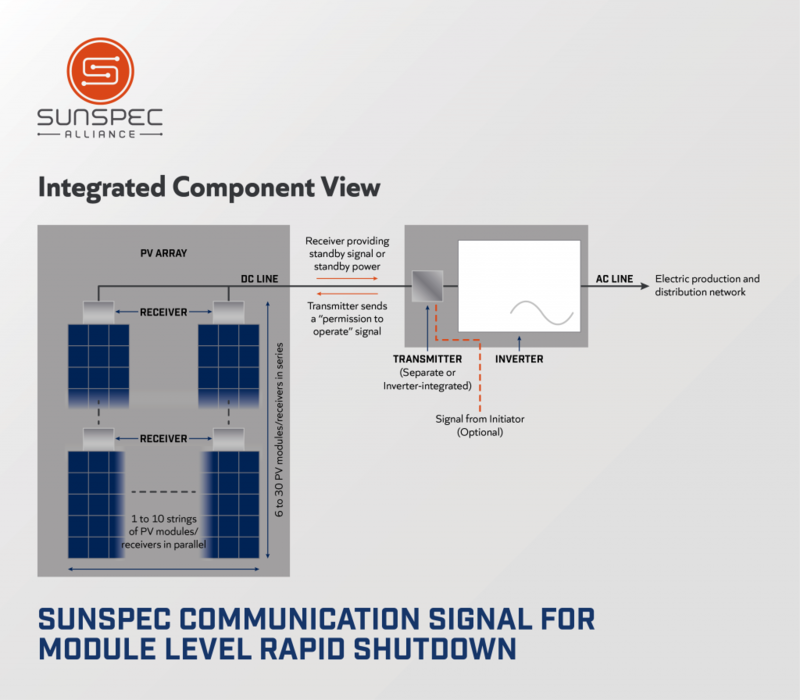 SunSpec Rapid Shutdown is typically implemented in association with Inverters and PV modules though other configurations are possible. Provides simple, robust, and reliable solution to shut down the voltage at module level to 1V per module (NEC2017 requires < 80V). Lowest cost solution to what is a fundamental market requirement. Reduces installation and interconnection cost with Plug-and-Play system components.Reports system health every time the sun comes up or the system is re-activated. Open standard protects consumers with competitive pricing, multi-vendor choices, differentiated options and value availability. Ensures system service and upgrades with choice of vendors and interoperable components.Increases consumer safety and confidence in DER technology.